Fight stress with desserts. Gorge on exotic cakes, tempting brownies, and mousse cups because stressed spelt backwards is desserts. 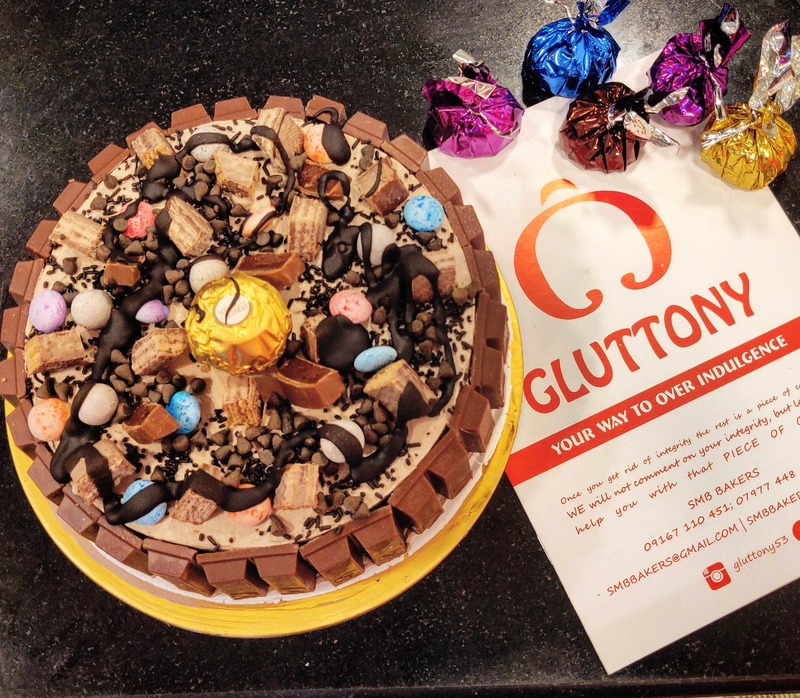 Gluttony is a new cakery specialising in cakes, cupcakes, muffins, sponges, milkshakes, cookies, and other baked confectionaries. Don’t believe me – visit their Andheri outlet and see for yourself. It's ambiguous whether to term them as a cake shop or a bakery or a dessert shop because the place is deluged with sweet stuff. The cakery is the brainchild of Husain Bhopalwala who raised this venture with his sheer passion and dedication. Going by his instinct for quality baked items, he practised the art of baking cakes on his own. What started as a delivery kitchen soon materialised into a four-wall shop. Husain is confident as he wades through tough competition every day that he can attract customers solely on the basis of authentic ingredients that goes in making the products. He even boasts of not using white flour in any of the base and how wheat flour is a healthier option. You can visit their outlet or order online. The menu is extensive with 135 different varieties, and they are all something unique, chances are you have never even heard of them before. Try their Granola Cookies which are all right with ragi flour, oats, almond, and dates packed with nutrients. Their Walnuts and Chocolate Chips Brownies will please your palate. For a complete mood changer, try their Black Forest and Blueberry Mousse Cups. And their Banana Raisins and Almond Bar Cakes should not be missed. Oh, and their signature specialities like Rasgulla Cake, Spice “N” Nice Truffle Cake made up of red chilly truffle, Paan Gulkand with paan and gulkand stuffings, and more are worth every penny.